Coughs and sneezes are far from uncommon, especially in the winter time when horses tend to spend more time inside. In this blog, we’re looking at ways to help prevent coughs and sneezes and also how to support a horse that’s recovering from respiratory illness. You can’t always prevent your horse from having coughs and sneezes, but keeping his environment as healthy as possible and vaccinating against flu are two good places to start. 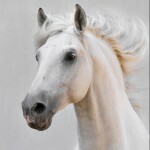 Equally, if your horse has a respiratory issue that you’re worried about then it is always best to call the vet – you might not have been able to prevent the issue, but veterinary intervention could well prevent the ailment from becoming worse. First of all, let’s think about the horse’s stable environment. Even if your horse has a perfectly healthy respiratory system and doesn’t suffer from any sort of dust allergy, it’s best to try and keep the stable as dust free as possible. Look at low dust bedding options, always remove your horse before mucking out, feed hay from the floor, ensure you feed non-dusty hay…the list goes on. 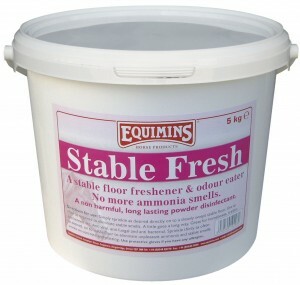 Ammonia can also compromise the respiratory system but this can be prevented or reduced by using quality bedding, mucking out fully each day and using a floor fresher/disinfectant like Stable Fresh to deal with any smells. Dust can also be found in the stable housing, particularly if it hasn’t had a good ‘spring clean’. Make sure your horse is out the way (and will be for a good few hours) before cleaning, but sweeping off ledges, shaking out any rugs stored in the stable and so on can reduce dust levels. Another important element in protecting your horse against respiratory and other illnesses is how you ‘deal’ with new horses. This could mean a new horse on the yard, or how your horse interacts with other horses at shows. Generally, new horses should be kept in a sort of ‘quarantine’ for a short while so their general health can be assessed and any issues picked up before these get transferred to other horses at the yard. Equally, at shows, even though your horse’s vaccinations might be up to date and you wouldn’t dream of taking an ill horse to a show, not everyone is the same…so keeping a little distance might not be a bad thing. If your horse has a respiratory issue or is recovering from one, do your best to support him. 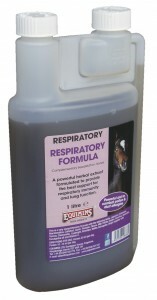 This means making sure your stable environment is as dust free as possible, potentially soaking or steaming hay, giving him time off work to recover, and feeding a supplement to support his respiratory health, We have a number of products in our Respiratory range that are perfect for the job, such as Respiratory Formula, Air-Way Herbs, Air Power Booster, Clear Breather and garlic. See the website for more information.